Having grown up with horses, Paralympian Natasha Baker has a wealth of knowledge about all aspects of horsemanship, from choosing the right horse for ability and temperament to keeping horses happy and healthy. Petplan Equine has teamed up with Natasha in the run up to Rio 2016 and is excited to bring you a range of opportunities to learn more from this elite equestrian. 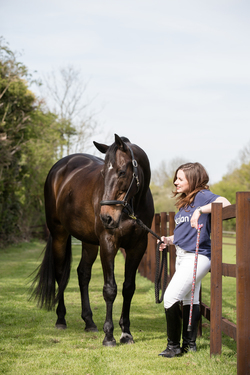 Join Natasha on the Petplan Equine Facebook page on 29th September 2016 between 7pm and 9pm. To ask Natasha a question simply visit Petplan Equine’s Facebook page or if you can’t make the date, email your question in advance to equinesocial@petplan.co.uk. 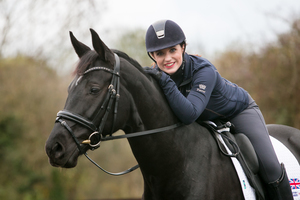 In the latest blog from our ParalympicsGB Allianz ambassadors, we hear from dressage rider, Natasha Baker on her Paralympic journey to date, how qualification for equestrian works and her ambitions for Rio. In many ways equestrian was a natural step for me as I was brought up surrounded by horses on the family farm. It was something I’d always wanted to do and I started at the Riding for the Disabled Association (RDA) aged eight. My first taste of Paralympic sport was when I watched the Sydney Paralympics in 2000 and it was then that I decided I would be a Paralympic champion one day. I started competing aged 15 and won my first competition at 16. I was on track to compete in Beijing 2008 but one of my horses sadly went lame just weeks before the finals. As well as missing out on my first big opportunity, it was also hard to see my horse go that way. But that made me more determined than ever to succeed. After the disappointment of missing out on Beijing, I couldn’t wait to compete at London 2012. I can’t describe the experience in one word – but it was super, super exciting. Our sport has been in the Paralympics since 1996 and the team has never come home without a medal. While I don’t get especially nervous, knowing that fact in the back of your mind puts a certain pressure on! Saying that, I had the least pressure in the team as I was the youngest and also the first to go out on the day. I worked a lot with a sports psychologist before and he said to remember that the only difference when competing at the Paralympics is the arena. He said you’ve done it a million times before so there’s no reason why you can’t do it on the biggest stage. Competing this year started a couple of weeks ago. I take part in both the individual and the freestyle events. In the individual, everyone rides the same test and you’re judged on every movement. In the freestyle you’re given a list of moves and can perform them in any order. You also choose the music and are judged on the choreography and musicality – the freestyle is definitely my favourite! There are five grades within dressage – 1a, 1b, 2, 3, 4, with 1a being for athletes who are the most disabled. In the Paralympics you have to take an athlete in the grade 1 or 2 events. We’ve already qualified all five places in Rio for Great Britain But now it’s up to us to compete for those qualification places. As well as competing against the other 2s, I’m also competing against everyone on the team for one of those places. Even if I’m top of my grade, I’ve got to score one of the top five highest % out of my team, so consistency is key. I’m looking forward to Rio – I have confidence in myself and I’d love to come home with medals. I’ll keep doing my best, and as long as the horses are happy then so am I! This may surprise you but the selectors actually decide which horses we use at the Games. This is based on our performance and how they think the horses will respond. In the latest blog from our ParalympicsGB Allianz ambassadors, we hear from equestrian star, Natasha Baker on what she looks for in a horse, her day to day routine and her motivations. But before we get to that stage we have to choose our horses. When choosing a horse, the first thing I look for is temperament. I have to see that they can work with me and aren’t scared – I’m not getting on a horse to fall off! They also have to have the paces to win medals. The second thing is trainability. I ride in a different way to able-bodied riders, and as I can’t use my legs, the horses have to respond positively to my voice commands and seat movements. 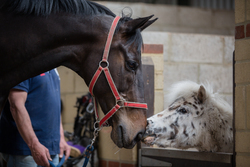 Our horses need 24/7 care. While you won’t be surprised that there’s no such thing as a typical day for me, there are some things that are a regular feature. I go to the yard first thing to groom the horses and get the feed ready – they need 24/7 care, regardless of whether it’s your birthday or Christmas! I ride six days a week and we all have the day off on Sunday (horses included). We try and mix up the things we do with the horses. We do some hacking (trotting/free walking) around the field so that the horses can see and experience some different things, as well as some lunging with the rope to give the horses a break from having someone on their back the whole time. It’s important to vary the regime, so I also do some swimming and work in the gym. On the theme of keeping things interesting, one of the things I’m often asked is how I keep myself motivated. The simple answer is more gold medals! I love training horses and it gives me a real kick. I’m stupidly competitive and want to win as many medals as possible. I think I get that from my parents – my mum also rides horses and competes, while Dad loves his cars. I hope this will spur me onto success in Rio! Natasha Baker, double gold medal-winning Paralympic Dressage rider, tells us about how she deals with competition nerves in the run up to major competitions and how she has developed her ability to be mentally strong on such occasions. Up to just a few years ago Natasha used to think that she had forgotten her dressage test just minutes before she was to enter the arena, then panic and ask for it to be called out. This is a familiar feeling for all of us who have tried to remember a test in the stressful environment of competing at any level. Natasha explains how she had to learn to have confidence in herself and her abilities. Now, with expert help, team support and techniques learnt from the sports psychologist, Natasha has been able to overcome many of her fears. Here Natasha tells us more about her tips to help beat your competition nerves. It’s important to continue your normal routine as much as possible. My Mum is my groom both at home and at competitions, so my horse JP has a familiar face around him and knows who is going to be looking after him. 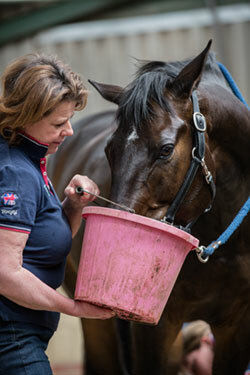 Feed well in advance before you travel, so that your horse has time to digest his food properly. Make sure your horse stays at a comfortable temperature. It can get hot in the back of a lorry, so if you have fans in there, ensure that they are turned or make sure windows and vents are open. If you are stabling away at a show, keep your feeding times as similar as possible to those at home. Maintain other aspects of your usual routine as well – if you work your horse for 45 minutes at home, don’t suddenly start overworking him and ride for an hour and a half at a competition. You should have done your training at home, prior to the event. Understand what is normal for your horse. Check his temperature regularly at home to gauge what it should be, so that you can respond to a potential drop or rise. Some horses don’t like drinking away from home. However, it’s vital to keep them hydrated, so pop some apple juice into their water to encourage them to drink. Keep everything as stress-free as possible. If you get tense or nervous, you will translate your negative energy to your horse. Always allow plenty of time to get ready – you don’t want to be in a rush. Drop the ramp as soon as you arrive at the venue to allow the cool air in and let the horse have a look around at what is going on. If we are stabling away, we regularly graze the horse in-hand. This simulates their home routine, because we usually turn them out every day, it allows them to get their heads down, which is beneficial for them, and is a great opportunity for them to assess their surroundings and relax. I love travelling and competing, but it can be a struggle for me physically. It takes me a couple of days to recover from travelling long distances because I get really stiff – sitting still isn’t good for me. And, because I ride without stirrups, being stiff is detrimental because I ‘bounce around’ more. I frequently have to do exercises which my physio has given me to help me stay supple. Remember to enjoy yourself - we all ride because we love it! With the 2016 Paralympic equestrian team only being finalised this month, Natasha Baker had to be both mentally and physically prepared in the hope to be selected. Now, with Rio in sight, we take a closer look into Natasha and her horse JP’s routine, how they prepare for competitions and what it takes to be a Paralympian. Natasha has found that routine is key to JP’s preparation with a combination of schooling and hacking which keeps his reactions quick and engages his interest. Moreover, for the rider there’s no doubt that the fitter you are, the better you will ride. Despite Natasha struggling with gym work because it can affect her back, she regularly swims which is a great cardio workout that benefits her overall fitness and therefore her performance when riding. In addition, we can often underestimate the importance of mental strength. In 2012, Natasha worked extensively with the team sports psychologist, who also worked with her Mum and trainer. Such work helped her to develop strength, build confidence and focus her efforts directly on her achieving her goals. Natasha’s team is invaluable in all aspects of preparation for any competition. She likes JP to have familiar faces around him who he knows and feels comfortable with – it helps to keep everything settled and is a system that works for the whole team. Natasha’s video takes us through her preparation and training for competitions. Buying a horse for ability but showing their personality which is key to the success of any horse. Balancing both ability and personality are key to the success of any horse, and must be considered in the purchasing process. 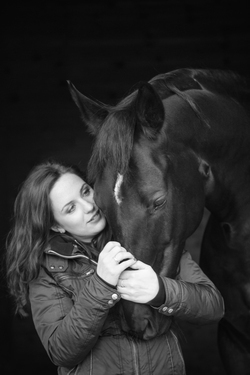 Here is the story of Natasha’s journey in finding the perfect horse. Finding the right horse is always difficult. For me, it is particularly hard. I need a horse with the paces, movement and presence to excel at top-level dressage, but one with the temperament and manners that I can trust to behave consistently well, particularly in the atmosphere of a big competition. It took over a year to find my top horse, JP. Previously we’d saved up for a long time to buy a horse, Ludo, in 2007 for the 2008 Beijing Paralympics. We spent a lot of money on him, and he subsequently went lame, leaving us with no money. This meant, when it came to purchasing a new horse to train for the London Paralympics, we had a shoestring budget. It left me with no choice but to go out and beg friends, family and local companies for help. I managed to scrape together a small amount, however this limited the types of horses we could go and see. One day I visited the top judge and former event rider Christian Landolt’s yard, who was renting half of it to a dressage dealer. The dealer brought out every horse he had, yet unfortunately none of them were suitable for one reason or another. My ideal horse has to have a perfected walk, considering that this discipline makes up 50% of my dressage test. During my frustration at Landolt’s yard, we were sitting having tea when JP was led past. My trainer, and my Mum and I all looked at him in amazement, recognising that he had the most incredible walk and asked if I could try him. Disappointed, I left my website address and contact details, which were passed on to Christian in the hope that he would consider my interest. A week later I was in bed with sinusitis and I got a call from Christian saying, ‘I hear you like my horse. Would you like to come and ride him?’ I was elated. I went along, and from the word go I knew he was the right horse for me. It was perfect – that gut feeling. We clicked straight away and fortunately I ended up buying him, with Christian coming into the ownership as well. Since then we have gone from strength to strength and I am eagerly looking forward to what lies ahead, I am blessed to have found such a compatible partner. What do I look for in a horse? Paces. I need something that is going to win me medals. The walk is really important – it needs to be regular and rhythmical but with a huge over-track, even in the medium walk. JP has got the best walk I have seen in the world, rarely getting a score below 9, and is what I instantly loved about him. I also need a good trot. It doesn’t need to be grand prix standard, but it needs to be elastic, loose and rhythmic. In Paralympic dressage they largely focus on harmony – the judges want to see a smooth and compatible partnership between horse and rider. Temperament. I need to know that a horse is going to look after me and not buck me off. Hopefully the horse will not be too spooky, yet if they do spook, which is expected for every horse occasionally, I must be ready to deal with that disposition. Trainability. I ride in a very different way to most able-bodied riders: I have no use of my legs at all. Obviously the first time I get on a horse it is not going to understand my aids immediately, but I need to know that in time, it will begin to respond. If they try, and look as though they are getting the hang of it, then I know that I will be able to work with them further. 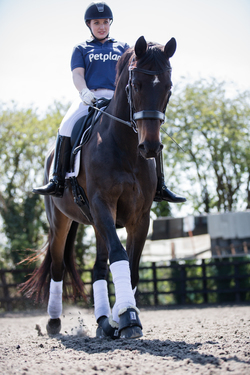 Balancing temperament and trainability with the ‘wow factor’ is the challenging part – and such a fine balance. You need a horse with expression in its work but that isn’t too sharp or difficult. Yet, that is part of the initial gut feeling, and that’s why I take my trainer, Lisa Hopkins, with me the second time I view a horse. She gets on and tests the horse, flinging herself about so that if I lose my balance we know what the reaction is going to be, and assess how much power the horse has got without losing the plot. Lisa knows me so well and understands what I am looking for. In the past, Paralympic riders have had the impression of needing ‘dobbins’, but the sport has moved on significantly and my new mare Sooki has every chance of going to the top in able-bodied classes. There’s always going to be a compromise when you are buying a horse. I wasn’t initially looking for a mare and I haven’t had one before, but Sooki was so perfect that I was willing to work with that. You have to use a bit of gut instinct but also need to seriously consider whether any compromises are worth making. There’s no doubt that the fitter you are, the better you will ride. I struggle with gym work because I get a horrendous bad back, so I swim, which is a great cardio workout and improves my overall fitness. 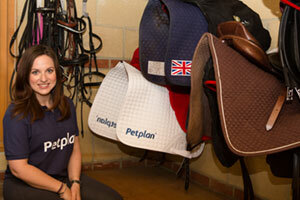 Personal fitness – Natasha provides advice on the importance of riders being both mentally and physically fit. There’s no doubt that the fitter you are, the better you will ride. I struggle with gym work because I get a horrendous bad back, so I swim, which is a great cardio workout and improves my overall fitness. When I train, which I try to do three times a week, I have a set routine and work myself to my limits. In addition, the more core strength you have, the easier it is to ride well. I ride without stirrups, which means I have developed a strong core and this is something all riders should try to do regularly to build on their physical fitness. I haven’t changed my fitness programme heading towards the Rio Paralympics. My body does well with what I am doing at the moment, and because it is particularly sensitive, if I suddenly made my fitness routine more intense, I could injure myself and miss the chance of riding in Rio. I’ve learnt from experience that it’s about knowing your body and knowing what you can cope with. It’s really easy to underestimate the importance of mental strength. Up until a few years ago, I would always think that I had forgotten my dressage test minutes before entering the arena, panic and ask for it to be called out. It became a bit of a habit – I’d be certain that I needed it read, even though I knew the test inside out. One day I was told that I couldn’t have it called, so I had to go in regardless and ride the test – it all came back to me. The main thing is to have confidence in yourself and your abilities and this will lead to success. In the lead-up to the London Paralympics in 2012, I worked a lot with the team sports psychologist, and she worked not only with me but with Mum and my trainer as well, which helped hugely. Going into the London Games, I was unknown and didn’t have any pressure on me. However, after winning a few gold medals that changes, and suddenly you are expected to perfect every single test you ride. I had to change my mentality so that I felt less pressure and so that I could still go in and enjoy what I was doing – at the end of the day we all do it because we love it. 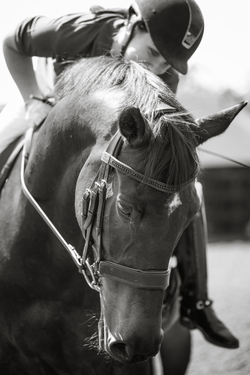 In addition, whatever you feel goes straight down the reins to the horse, so however you are feeling going round the arena before entering and going down the centre line, the horse is feeling too, which is why it is so important to be confident. Horses get everything from us and have to trust us. If you are worried about a particular movement, you will communicate that to the horse and it becomes a self-fulfilling prophecy. I went out hacking on JP for the first time in about a year the other day. In my head I was nervous, but in my body I had to stay utterly relaxed and tell him everything was fine. If I’d let him know I was scared, he would have spooked at everything. I think you sometimes ‘tell’ a horse to spook if you are thinking about it. Dressage is a subjective sport as we are relying on one, three or five people’s opinions to win. They might like you and your style of riding, or they might not. As long as I know I have done my absolute best and the horse underneath me has too, then if the score doesn’t reflect that then yes, you can be slightly disappointed, but you should not let it get you down as you know you couldn’t have done anything more. Look out for future updates including Natasha’s advice on selecting a horse, coping with competition nerves and much more.